Kiddy consignment shop like a boss! There’s no question that raising a little one can really start to add up, and fast, but there’s an easy way to save money on stuff for baby early on – consignment shopping! You can get everything from maternity clothes to baby’s toys on consignment, and save a diaper-load of natural resources while saving serious money. … are you getting the picture? Babies and kids grow and tire of toys quickly, making consignment shops a key part of the solution. We hardly bought anything new because there’s just so much out there that is barely used (and 1/4 the price). Here are the items that we DID buy new: bottles, breast pump (I needed one quickly while at the hospital but you can easily find them lightly used), cloth diapers (again, tons used ones for sale), and organic cotton sheets. Everything else, from car seat to stroller to high chair to co-sleeper crib to eco mattress we got gently used. 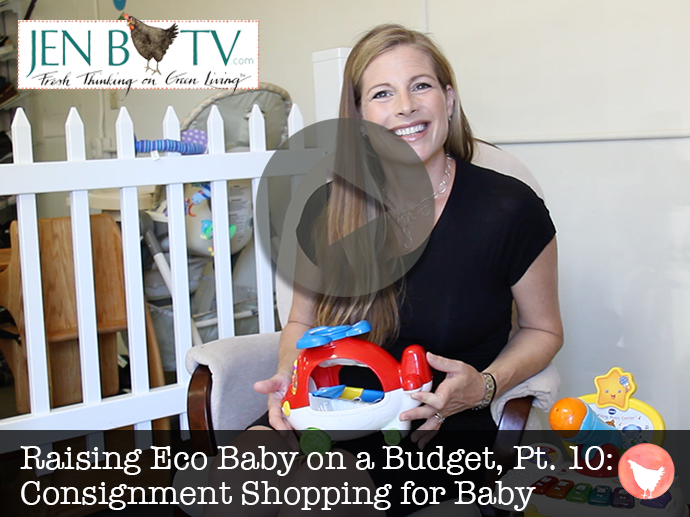 Be sure to watch the episode to get my simple tips on how to walk away with the best deals on new-to-you baby loot from consignment stores. Make a pile of gently used clothes/items that you don’t use any more to bring to consignment, and then use the credits you earn to buy goodies for baby. Depending on how much you bring in, you may be able to walk away with your baby-haul with zero out-of-pocket cost (how’s that for a cha-ching?! 😉 ). Use websites like Facebook Marketplace, Craigslist, Yerdle and eBay for anything-under-the-sun-baby. Dig up some affordable kiddy clothes by googling “kids consignment near me” – then walk away from the computer, into car… and voila! You’re a consignment boss. 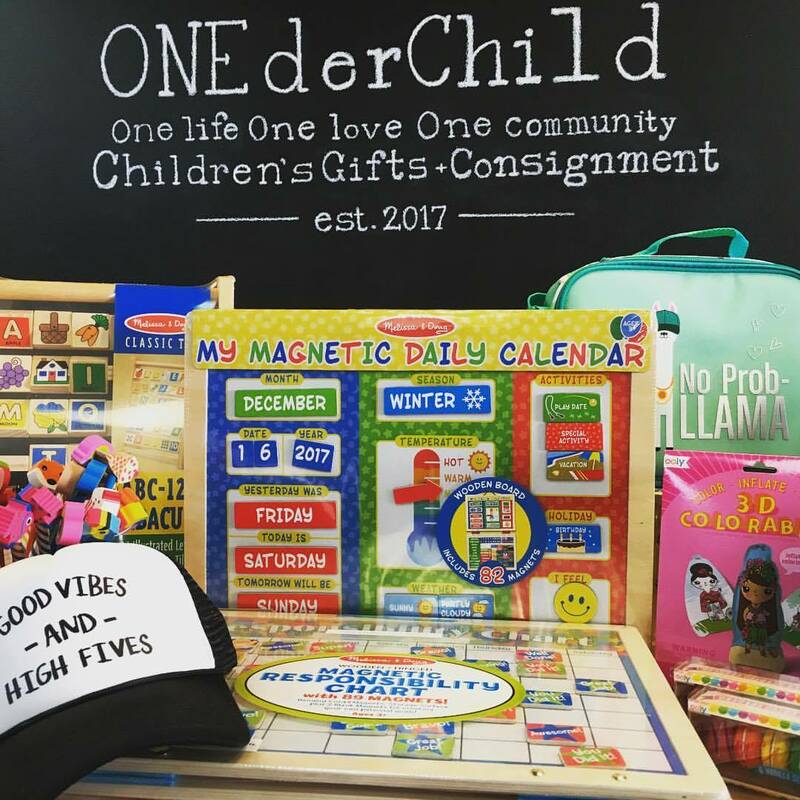 Local (Santa Barbara County) shout out to OnederChild, the consignment shop in our community that not only donates gently used items to children in need, but they are now also donating individually-selected new items to children affected by the fires and floods. The average cost of raising a kiddo until the age of two can top $13,430?